I guess there are a lot of fans waiting for Nendoroid Hasegawa Kobato to be available for pre-order and … we get it today! 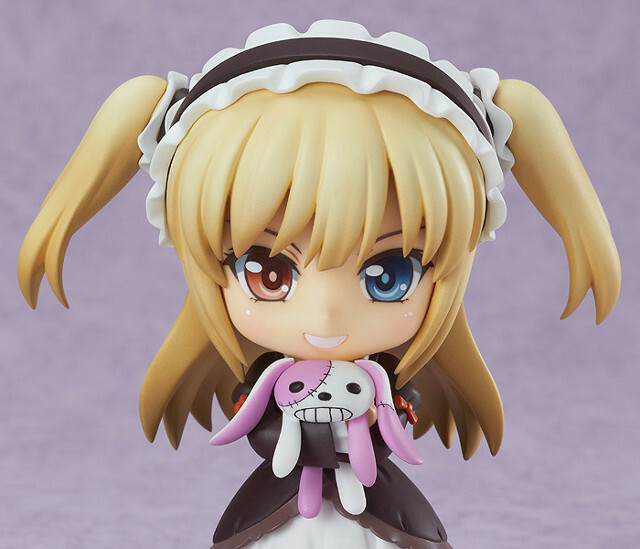 From the anime series ‘Boku wa Tomodachi ga Sukunai NEXT’ comes a Nendoroid of the Kodaka’s little sister, the beautiful Kobato Hasegawa! 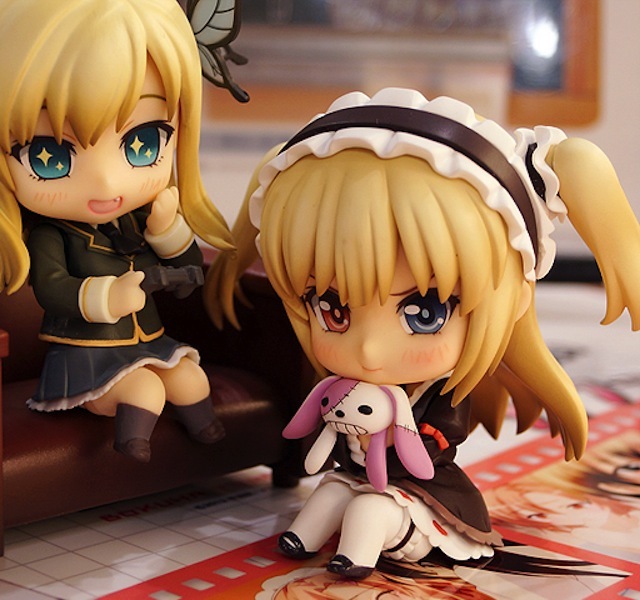 Her cute goth-loli outfit has been shrunk down, and her different colored eyes look just as cute in Nendoroid form! A special expression and other optional parts are included allowing you to pose her as the anime character she often pretends to be. She also comes with the patched-up bunny plushie she always holds onto, along with the ‘An-chan Plushie’ which shows just how severe her brother complex is! 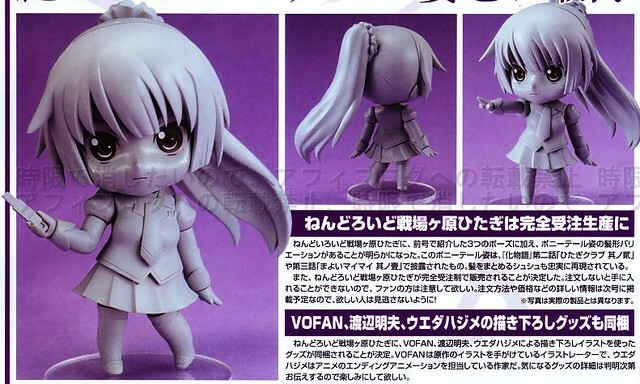 Kodaka’s little sister will be released on July with the price tag of 3500 Yen. Along with Kobato-chan, Nendoroid Mikazuki Yozora is also getting a re-release and has been available for pre-order starting today. A rerelease of the cruel yet beautiful Yozora! From the popular light novel which has now has a second season anime adaption, ‘Boku wa Tomodachi ga Sukunai’ comes a rerelease of the beautiful Nendoroid with a rather dislikable personality – Yozora Mikaduki! 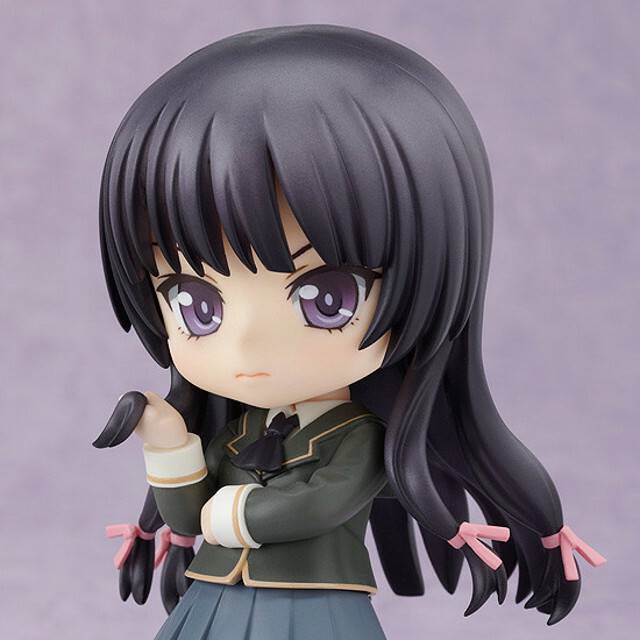 The Nendoroid captures Yozora’s unsociable and cranky image, but still has that cute Nendoroid appeal! She comes with three different expressions including her standard cranky expression, a smug expression and a smiling expression to pose her chatting with her imaginary friend, Tomo-chan! A number of other optional parts are also included, such as a sofa and a portable game console, allowing you to recreate all sorts of scenes from the Neighbor’s Club! If you missed the first release, this is your chance to get her for 3500 Yen as she will be released on June. 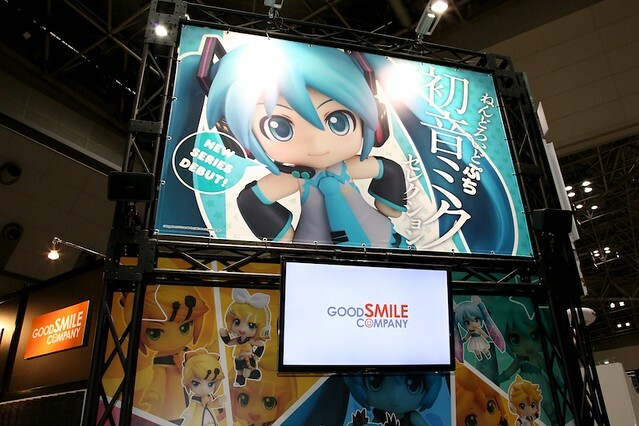 GSC is participating in the Tokyo International Anime Fair 2013 at Tokyo Big Sight and their booth name is “GOOD SMILE COMPANY & ULTRA SUPER PICTURES“. For fans of Eiyuu Densetsu (Legend of Heroes) series, here is another item to be added into your collection: Nendoroid Petite Tita Russell. The annual Racing Miku design has been announced during the last Winter WonFes, and Nendoroid Racing Miku: 2013 version is available for pre-order today. The Hatsune Miku GT Project’s 2013 Character Mascot! 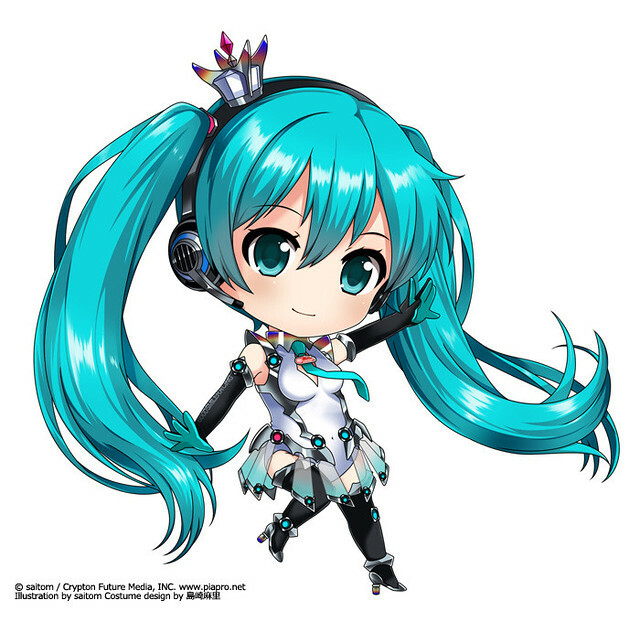 A Nendoroid of the 2013 Racing Miku, based on the original illustration and design by saitom! As usual, a Nendoroid car, a parasol, and an exclusive decal sheet are included in the package. Officially, the only available courses for international sponsor application at the Good Smile Racing Personal Sponsor website are Course A (10000 Yen) and Course B (30000 Yen) – those are the only packages that includes the Nendoroid. The scheduled release date for the sponsor package is October 2013. So you have secured your pre-order of Nendoroid Rin and Wooser + Mechawooser? Well, it looks like you are going to break the bank get busy again as Nendoroid Ren and Darth Wooser got Mikatan’s preview treatment today. Ren will only have two expressions, and in exchange, she will get two separate bodies (usual outfit and swimsuit) and two separate heads (with and without the hoodie)! As the product name suggests, she will also come with Darth Wooser. Special parts are also included for a heart-pose together with Rin. Nice! Look forward to her pre-order availability starting …. tomorrow. Any thoughts, Nendonesian?